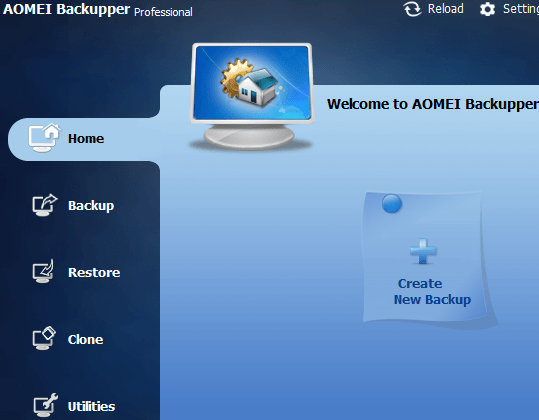 AOMEI Backupper Professional is a most advanced and feature-packed backup software that lets you create a copy of your system that you can restore in the event of major problems. This user-friendly windows program sells for $49.95 (USD) but for a limited time period, it’s available free for Techno360 Readers. 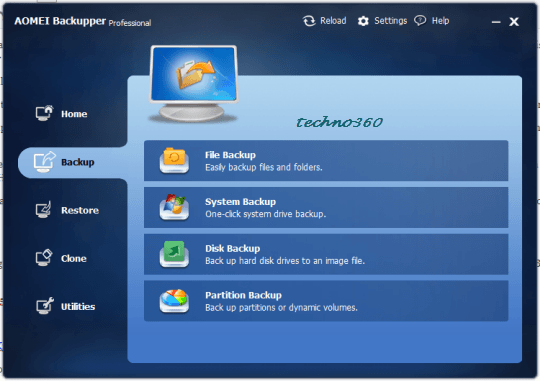 AOMEI Backupper Professional is a Professional data backup utility for Windows PC’s that allows users to back up just about anything and prevents permanent data loss. The pro version offers three types of backup modes: full, incremental and differential. The clean interface of the app offers a selection of options down the left-hand side. From here, you can use the Home screen; open the back-up and restore modules; clone a partition or disk and run some useful utilities. The program lets you backup disk drives or backup system of Windows 10; backup partitions (or dynamic volumes) and make a one-click copy of your system drive. The process is largely the same for all the options. Just select what you want to copy, and where you want to save the content to. You can set a compression level (none, normal or high), enable encryption and split a large back-up into smaller volumes, which is useful if you want to write the files to CD or DVD. When you are ready, hit the Start Backup button. You can manage your backups through the Restore and Home screens. The Utilities section lets you check the integrity of a backup image, to make sure there are no problems with it, burn a bootable rescue disc; and mount a backup image, so you can explore it and restore each file through Windows Explorer. System, hard disk, partition, file, folder, and file backup and restore. Create WinPE or Linux boot recovery environment in case of the system fails. To celebrate World Backup Day, AOMEI is giving away their backup software AB Pro license (worth $49.95) free for Techno360 readers. Extracting this zip file you will notice the installer and “readme” file with a license code. Thanks to Lori from AOMEI, this giveaway will be available until April 4, 2019.